Mark Coyle, the new athletic director at the University of Minnesota, has been threatening it for months. I suppose that softens the blow a bit. At least it comes as no surprise that the athletic department has sold out Mariucci Arena, the home of Golden Gopher Hockey, to Minnesota Mining and Manufacturing. Better known as 3M. 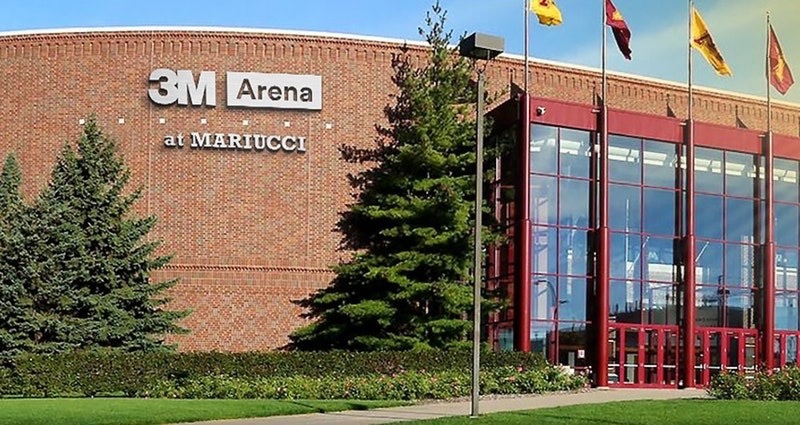 Mariucci will be rechristened 3M Arena at Mariucci on October 1, when the Gophers play an exhibition game against Alberta, and the University of Minnesota will receive $11.2 million over 14 years for the sell out. Oh, I’m excited all right. No word yet on when Pillsbury Doughboy at Williams will be announced for the venerable old Barn, where the basketball team plays. Expect that in the coming weeks.